Now that the press has discovered that Jane Austen is out and the Brontës are in, we suspect we will have more amusing and Cluebat-worthy articles like this one in USAToday, as the press, unlike Charles Musgrove, just loves to neglect the reigning power to bow to the rising sun. Wait a minute–there was a gap of SIX YEARS from 1999 MP to 2005 P&P. Are we ignoring that now? Are we also ignoring the 1996 Zefferelli adaptation of Jane Eyre, and the 1992 adaptation of Wuthering Heights starring Juliette Binoche and Ralph Fiennes, and whatever happened to that planned biopic about the Brontës that was supposed to star Michelle Williams and some other flavors of the month? Of course we’re ignoring all the TV adaptations (two each of JE and WH, by our count, as well as one of The Tenant of Wildfell Hall). They don’t “count,” despite the fact that many people will see the “Hollywood” films once in their local house and then over and over at home. But enough with the endless circling of the Pump Room at Bath — time to get hearts racing! Time to bring back those wildly Romantic Brontë characters — plain Jane Eyre and moody Mr. Rochester, doomed Cathy Earnshaw and vengeful Heathcliff — to rend their garments, wail disconsolately and stagger across windswept moors. “Austen’s characters achieve their greatness through a kind of sideways movement toward happiness, (while) the Brontës hurtle themselves headlong into the maelstrom of emotions and situations,” says James Schamus, head of Focus Features, the artsy studio that made Austen’s Pride and Prejudice and now is making Jane Eyre (with BBC Films) with hot young director Cary Fukunaga (Sin Nombre). The Brontë biopic has been in the works since 2007 and has a director, Charles Sturridge (Brideshead Revisited), but no cast. Brontëwill tell the story of the sisters themselves (the third sister was Anne Brontë, author of the less-well-known The Tenant of Wildfell Hall), whose collective life story is as dramatic and tragic as their classic novels. Oh, that’s what happened to it. It’s just sitting there waiting for the pendulum to swing back. Now, that’s an interesting commentary. We’ve complained that the most recent set of adaptations has contained a extra dollop of melodrama that Jane Austen never intended; perhaps that’s why it was felt necessary. But let’s not kid ourselves: the real reason for the use and overuse of public domain texts for film adaptations is that THEY ARE FREE. No diva living authors making all sorts of unreasonable demands like payment and fidelity to their original. Let’s also not forget that Wuthering Heights is a Twilight favorite, the book Edward and Bella obsess over. In fact, the series has Emily’s book sales skyrocketing, perhaps aided by a new cover clearly designed to cash in on vampire chic. As Meyer realized, the appeal of the Brontë novels is very similar to that of the vamp-craze films and books (not to mention they’re about as chaste as Twilight). They’re all about romance that manifests as pain, men who, despite their love may be too monstrous to tame, and the women who can’t help but be devoted to them. We have been critical of vampire mania in the past, and it still creeps us out a bit. But if it’s helped to bring Heathcliff and Jane and Lucy and Rochester back into the popular imagination, it can’t be all bad. Because Heathcliff isn’t at all creepy and he’s totally a romantic hero. Thanks to Alert Janeite Lisa for both links. And since everyone is sending us this, here you go. And side note–has it been too long since I read JE and WH, or am I correct in saying there was no “Lucy” in either of them…? I didn’t even notice that. Hee! Maybe they mean Lucy Snowe from Villette? Okay, yeah, I’m reaching, and probably giving them far more credit, etc. I noticed that! And like Arin, thought, “surely they can’t mean Lucy Snowe?” Because Villette doesn’t really fit the context… I doubt Bella and Edward would rhapsodize about it. Heh. Also, Mags, I saw a still from the new Jane Eyre and my first reaction was NOT ANOTHER ONE? Yeah, the Brontës aren’t exactly neglected. Who wins in a number-of-adaptations contest, JE or P&P? It would be close. I’ve never been able to understand why wangst artists (http://tvtropes.org/pmwiki/pmwiki.php/Main/Wangst) like Heathcliff are credited with being somehow more authentic and sensitive then well-adjusted people who manage to cope with the stuff life throws at them. I’m not a “must pick” person, either. 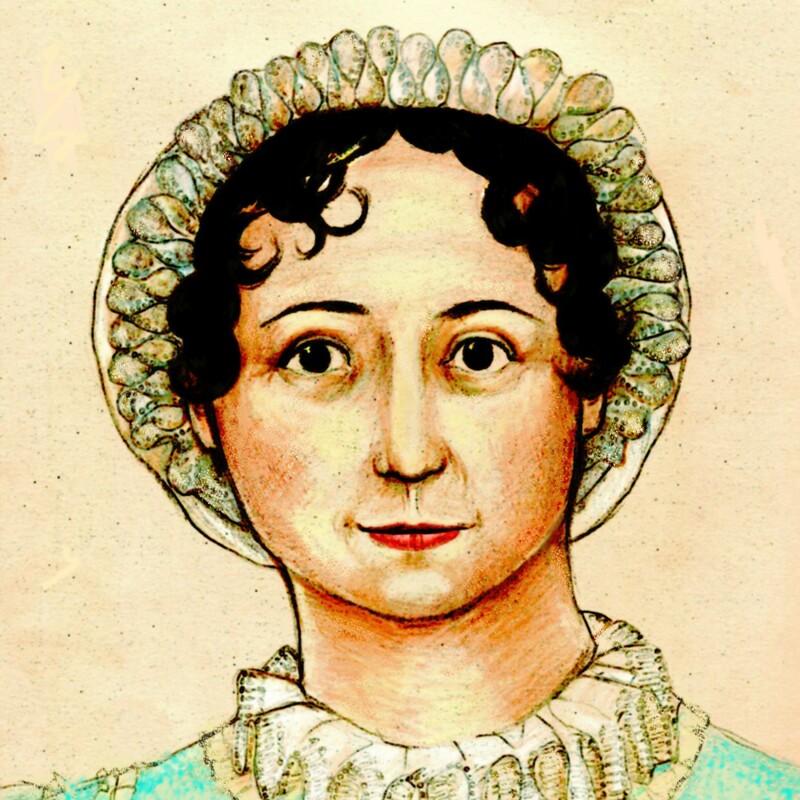 I like both Austen and the Brontës; I just like Austen more. 🙂 I’m more mocking the press, which seems to be all “Jane Austen is SO LAST WEEK” and praising the Brontës, because that’s the spin the movie producers have taken. They’re like sheep, and so predictable. I loves me some mocking of the press. Hee hee. And “Hello? !” to those who don’t believe in Jane’s longevity: Her books have gained fans for (practically) two centuries, which means she’s got game! I’m stuck on this quote: “Austen’s characters achieve their greatness through a kind of sideways movement toward happiness, (while) the Brontës hurtle themselves headlong into the maelstrom of emotions and situations.” Apparently Mr. Schamus has never read Sense and Sensibility…I certainly can’t imagine Marianne Dashwood making a “sideways movement toward happiness”! Well, that new biographical fiction book CHARLOTTE AND EMILY has just gotten a fantastic review: http://news.yahoo.com/s/ap/20100518/ap_en_ot/us_book_review_charlotte_and_emily. Again, Anne is forgotten, even by the reviewer. I have seen that Kate Beaton comic before and it’s so true. I’ve read that Anne was actually the one who blew their cover, because her sympathetic portrayal of the wife of an abusive husband made people realize the writers couldn’t POSSIBLY be men. Not a big Brontë fan. I gave up on Wuthering Heights about 2/3 of the way through when I realized I wanted all of those miserable people to die out on that god-forsaken moor. I think Marianne did ultimately find her happiness through sideways motion. I just heard about the prequel to Jane Eyre, Wild Sargasso Sea. Didn’t it say Mr. Rochester contributed to his wife’s madness? He’s not that romantic to me, willing to cheat on Jane Eyre with a wife in the attic. I don’t mind people thinking Jane Austen is out. She’s always IN in my heart. It’s actually Wide Sargasso Sea, and it is an excellent book. Frankly, it all comes as rather a relief to me, not having to worry about what they’ll do next to butcher Austen. Go Team Brontë. Bronte sister power dolls made me laff and laff. Loved the Brontesaurus, with lace around her ankles! So Focus Features is the same company that produced P&P05? Maybe they’ll “Austen-ize” Jane Eyre the way some viewers thought they “Bronte-ized” P&P. From the sound of the director’s breakout film, gritty realism might also be in the cards again. Hope not, it seems even less suited to Charlotte Bronte than to Jane Austen.